PMR delivers key insights on the global aminic antioxidants market in its revised report titled 'Aminic Antioxidants Market: Global Industry Analysis 2013-2017 and Forecast 2018-2026'. 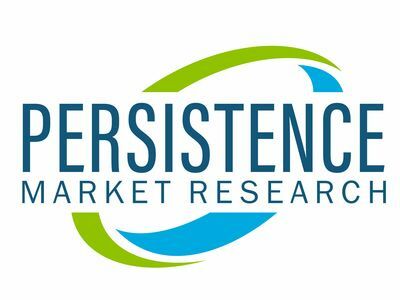 The long-term outlook on the global aminic antioxidants market is anticipated to remain positive with the market value expected to increase at a CAGR of 2.7% over the forecast period. On the basis of product type, diphenylamine is expected to remain a widely utilized aminic antioxidant throughout the forecast period. The consumption of aminic antioxidants around the globe is estimated to reach a value of US$ 1,500.4 Mn by the end of 2018, witnessing 2.6% Year-on-Year growth over 2017. Asia-Pacific, spearheaded by China, is anticipated to account for a significant share in the aminic antioxidants during over the forecast period. The South East Asia & Other APAC region is expected to grow at an above-average rate in the global aminic antioxidants market in the coming years. Increasing preference of aminic antioxidants as alternatives for zinc dialkyldiphosphates is found to be a key factor assisting the aminic antioxidants market growth. Over the past few years, zinc dialkyldiphosphates have been utilized as additives in engine oil and lubricating oil, owing to their anti-oxidation and anti-wear properties. However, in the recent past, various environmental regulations have enforced the reduction of phosphorous content in engine oils, which necessitates an increase in the level of aminic antioxidants in order to make up for the loss of ZDDP's anti-oxidation capability. Instability in raw material supply and cost pressure are translating to an increase in the price of aminic antioxidants. In the recent past, raw material prices have witnessed an upward trend, along with the energy costs, which in turn has been affecting the overall cost of aminic antioxidants. Investments in research and development activities in order to improve production processes and expansion of production capacities for aminic antioxidants are found to be the key trends identified in the aminic antioxidants market around the globe. For instance, recently, Songwon and BASF invested in the expansion of the production facilities for aminic antioxidants, particularly in Asia-Pacific. Among the segments by product type, market insights suggest that the butyl/octyl diphenylamine segment is expected to account for a significant share of the overall diphenylamine in the global aminic antioxidants market. The diphenylamine segment is pegged to be followed by phenyl-alpha-napthylamine and phenylene diamine segments. Diphenylamine possesses various advantages, which include suitability for inducing stabilization in automotive formulations such as automatic transmission fluids (ATF), passenger car motor oil, diesel engine oils and gear oils and excellent oxidation inhibition properties. The China aminic antioxidants market is expected to register high consumption during the forecast period and is also expected to remain a high value market. The South East Asia and Other APAC region is expected to witness an above-average CAGR in the global aminic antioxidants market. In terms of market value, the top 5 countries in the global aminic antioxidants market are expected to create more than 3/5th of the overall incremental opportunity during the forecast period. The global aminic antioxidants market is found to be partly fragmented, due to the presence of various local as well as regional players across the globe. Continuous innovation in products and emphasis on research & development are found to be the key strategies of prominent manufacturers around the globe.